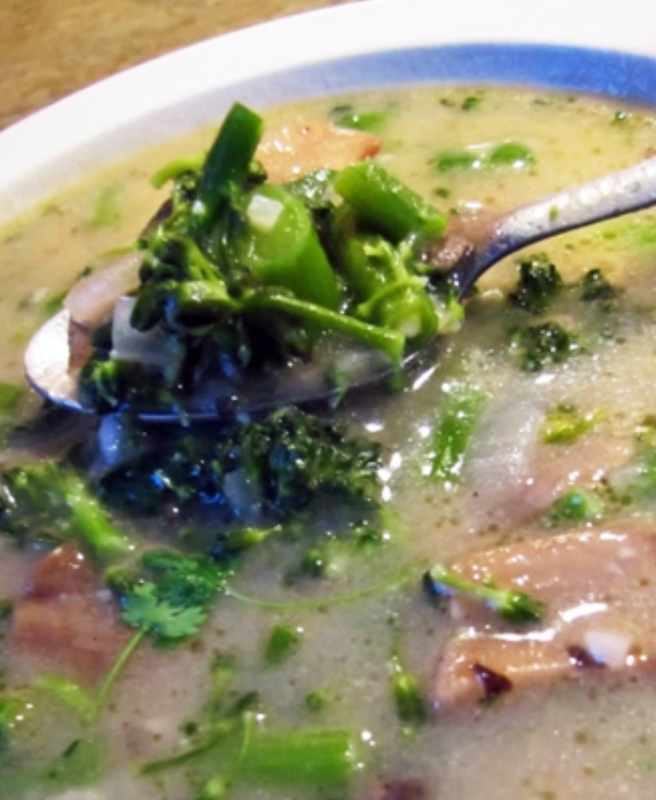 This easy organic broccoli mushroom soup will warm you up on a winters day and is very quick to make! Entirely from scratch, no canned or packaged ingredients. Saute onions, mushroom & broccoli in butter and 3tbs olive oil until onions have softened. Add water and salt, cover and simmer a few minutes. Add nut milk, salt & pepper to taste, a little grated sheep cheese (optional) and kudzu root to thicken. Pop in a hot chili and drizzle with 2 more tbs olive oil.